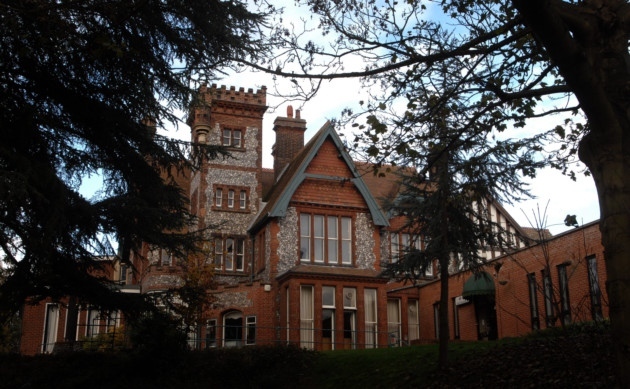 We are sad to announce the death of Barbara Marion Culleton who passed away peacefully on Sunday 19th June at Maise House, the Royal British Legion Nursing Home, Bexhill-on-Sea. In 1933 aged 15 Barbara Culleton arrived in London on her own and found digs and secretarial work. On the 9th September 1938 the Women’s Branch of the British Army the ‘Auxiliary Territorial Service’ was formed. Within two months Barbara had enlisted into Princess Louise’s Kensington Regiment as a volunteer (as ATS privates were then called). The day before war was declared she was embodied into the Army and was posted to the War Station Railway Training Centre at Longmore and remembers having to help put rolling stock back on the tracks. It was in July 1941 while she was at her next posting to 12 Field Training Regiment RA at Bordon that she was first Interviewed and told that she had been selected to become an officer. She was asked to consider being involved in training for ‘urgent, very secret and possibly dangerous’ work. READ THE REST OF HER CAREER IN AUXILIARY UNITS HERE. 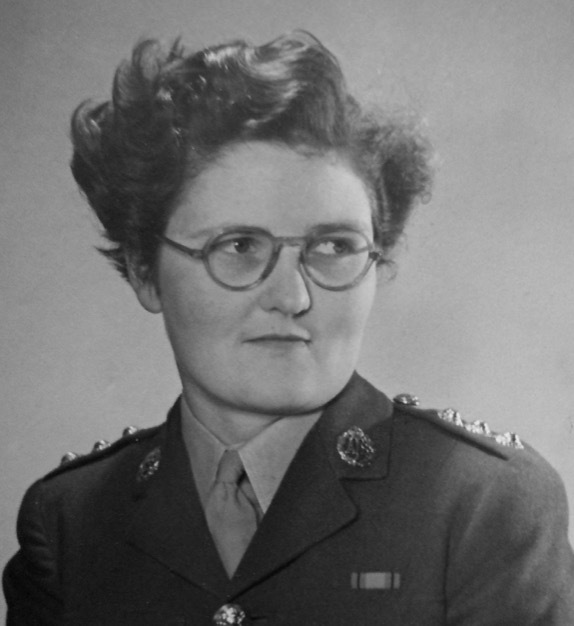 On the 3rd May 1955 Captain Barbara Culleton WRAC was awarded the Territorial Decoration for serving her Country. She continued to serve until 12 December 1968 when she reached the upper age limit and so reluctantly had to leave. Barbara Culleton had served her Country for 30 years. 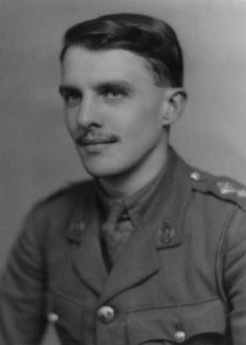 Captain Ken Ward was an integral part of the development of the Special Duties Branch (A secret radio network set up around the country to broadcast German movements post invasion). Ken was a Royal Signals Adjutant who started work in the SDB with 16 other radio hams. Ken made the radio sets before installing them in the coast stations. He then taught the operators how to use them as well as maintaining them. Once installed teams of 2 would go out from wherever they were based and visit the stations, change and charge the batteries. Problems with the early radio sets resulted in Ken agreeing to make a new one. In about 3 weeks flat he had produced the TRD, which was an all in one box. Our thanks to research by Bill Ashby & Ken’s daughter Kate for this bio. Read more about Ken’s military career and Aux work here. 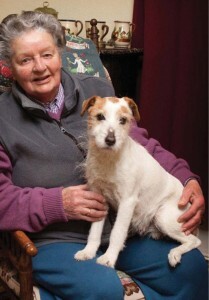 Jill Monk from Aylsham in Norfolk has passed away at the age of 89. During the war Jill worked for the Special Duties Branch (part of the Aux Units) as a message courier for her father’s secret radio station. This was cleverly hidden in the coal hole of the family house at Aylsham where he was a doctor. Jill would be sent out at night, commonly on horseback, to deliver any messages they had received. The messages were hidden inside split tennis balls and deposited via a disguised pipe. Jill had two horses, one chestnut, for riding during the day, and one black, for night exercises when she would ride cross-country. See more about her work below. Towards the end of the war Jill became a radar operator at the Chain Home Radar Station in Stoke Holy Cross. In 1946, she competed at the Aylsham Show on her then favourite mount, Merry Monarch, a horse she had also favoured, because of its dark coat colour, when out at night delivering secret messages. She remained a regular competitor at the Aylsham Show for many years, first as a horse rider and later as a judge and sponsor of the Highland Pony in-hand classes. Her remarkable story is catalogued both in ‘With Britain in Mortal Danger’ and ‘Churchill’s Underground Army‘ by John Warwicker or you can read our interview with her here. 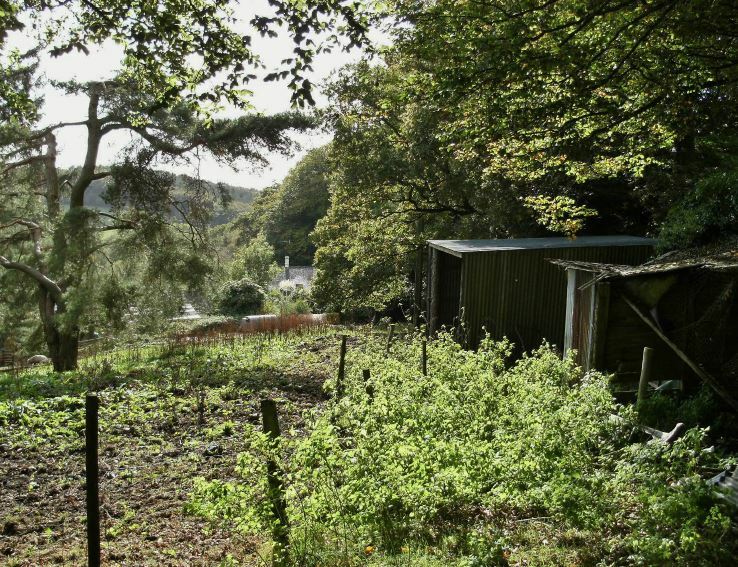 Thanks to research by Chris Perry and Nina Hannaford we have published a new report on the Widworthy Special Duties Branch OutStation, code named ‘Chirnside 2’ in Devon. Widworthy appears to differ to most OUT Stations in the area which were often within the gardens or grounds of the “Key Man” who operated it. “Chirnside 2” was located in a dugout in Widworthy Wood half way up the hillside overlooking Widworthy Church and Widworthy Barton. It may well have been placed here due to the lack of wireless reception at the “Key Man’s” home. This has left it difficult to identify the operator. Read their complete report here. Aux researcher Chris Perry with assistance from Nina Hannaford has today published a report on a Special Duties Out Station. The report is about the wireless site, recorded as “Hawkchurch” Out Station, on the Devon / Dorset border (in Devon from 1896) which is actually in the nearby hamlet of Fishponds Bottom which is in Dorset on the edge of the Vale of Marshwood. 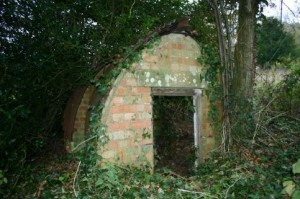 The wireless was located in a “chicken shed” at the rear of a house locally known as “Briscoe’s Farm”. Today we have added a basic report on the Special Duties Out-Station located at Bewley Down in Devon. 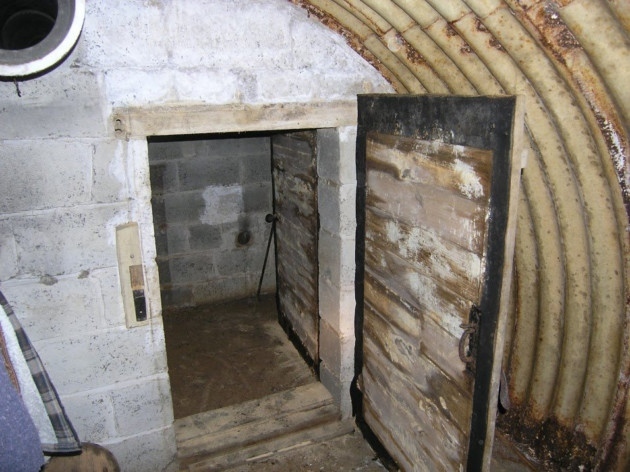 The secret underground bunker, code named Chirnside 1, is located beneath an old outside privy and has recently been restored over a nine year period. A book is the result of that project, with contributions from a team of ex-military and civilian experts assembled by the current homeowner. Through out the renovation unique discoveries have been made such as the arrangement of the ventilation pipes in a complex pattern, including junction boxes for multiple pipes, and the range of cabling used to connect wireless sets to the aerial trees. 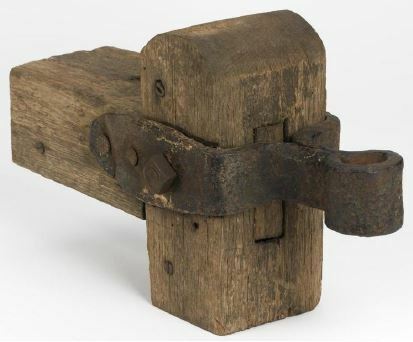 Probably the most fascinating finds are the wide range of hidden hooks, latches and catches that operate the various concealed bolts and secret doors to access the dugout and to get into the radio room. There are a 100 illustrations and photos throughout the 120 page book, with the images carefully aligned to the relevant text. 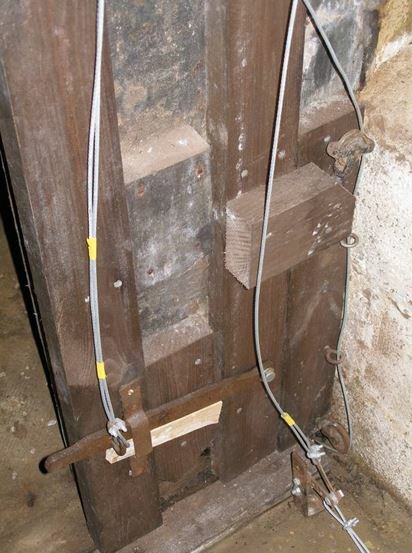 There is also a talk being given about this renovation and more info on this can be seen here. 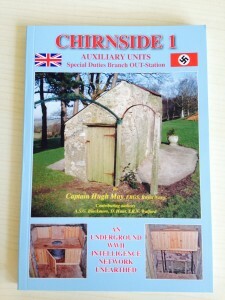 A new book called Chirnside 1: Auxiliary Units: Special Duties Branch Out-Station has recently been published by H.P. May, A.S.G. Blackmore, T.R.N. Walford, D. Hunt. 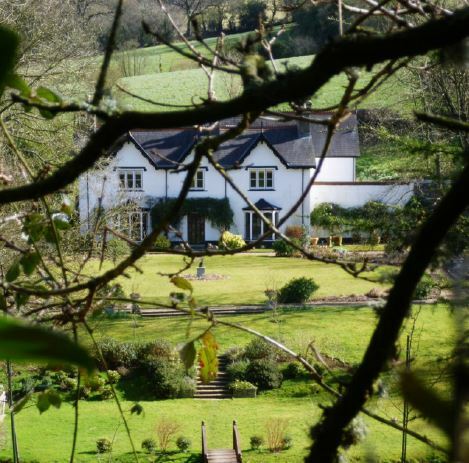 When an eleven year old schoolboy returned home to East Devon from boarding school in 1941, he found soldiers excavating an enormous hole in the garden next to the outside Privy. This was the beginning of an underground construction which became an integral part of a most secret WWII operation. Named the Special Duties Branch of the Auxiliary Units, civilians were trained and exercised in gathering intelligence about enemy forces in the event of a German invasion of Britain. These civilians were supported by regular military personnel, namely ATS and Royal Signals, who assisted in operating a network of wireless stations through which intelligence details were passed to Army HQ. This account of the restoration of a Special Duties Branch wireless station, and the outcome of five year’s research into the history of the site, has revealed previously unknown facts about a clandestine war time organisation who’s history largely remains under official secrecy. The book can be bought in our shop here.